OSPI, the state agency responsible for overseeing public education, is being sued by students who were suspended or expelled for behavior related to their disabilities. The ACLU of Washington today filed a lawsuit against the state Office of the Superintendent of Public Instruction (OSPI) on behalf of students with special education needs who have been wrongfully disciplined for behavior related to the disabilities. The suit asks that OSPI, which is the primary public agency responsible for overseeing K-12 public education in Washington, ensure that they remain in school instead of being pushed out. “Washington’s constitution guarantees every child in the state the right to a public education. For the tens of thousands of students with disabilities who are suspended, expelled, or otherwise excluded from classrooms each year due to behavior related to their disabilities, this is an empty promise. All we ask is that OSPI to do its job and ensure that students who require special education be fully included in the state’s education system,” said Emily Chiang, ACLU of Washington Legal Director. The experiences of the plaintiffs in the suit vividly show why OSPI must take action to protect these vulnerable students. A.D. is thirteen, and has been excluded from his Yakima School District classroom for a total of 52 days during the last two years for agitation and outbursts related to his bipolar disorder, Attention Deficit Hyperactivity Disorder (ADHD), Mood and Anxiety disorders, and autism. Instead of being de-escalated, A.D. is disciplined, excluded, and physically restrained for things like trying to board a school bus with his classmates or refusing to change out of his gym clothes. He has been offered just 16 hours of compensatory education and is regularly sent him home from school without make-up work. A.P. is an eight-year-old boy who has had medical issues related to his gastro-intestinal tract, delays in speech and walking, Asperger’s Syndrome (part of a category known as the autism spectrum), and Post-Traumatic Stress Disorder (PTSD) as a result of a near-fatal car crash. A.P. has been denied recess because he “[took] too long in the bathroom” due to his GI condition; ordered into the “Shoebox,” a small classroom with only a desk and chair, in which the lights are turned off; and was suspended when he attempted to defend himself physically against bullying. A.P.’s mother eventually pulled him out of public school and currently homeschools him. Because she is a single parent, she has to live at home with her mother to pay the bills and cannot work full time. G.J. 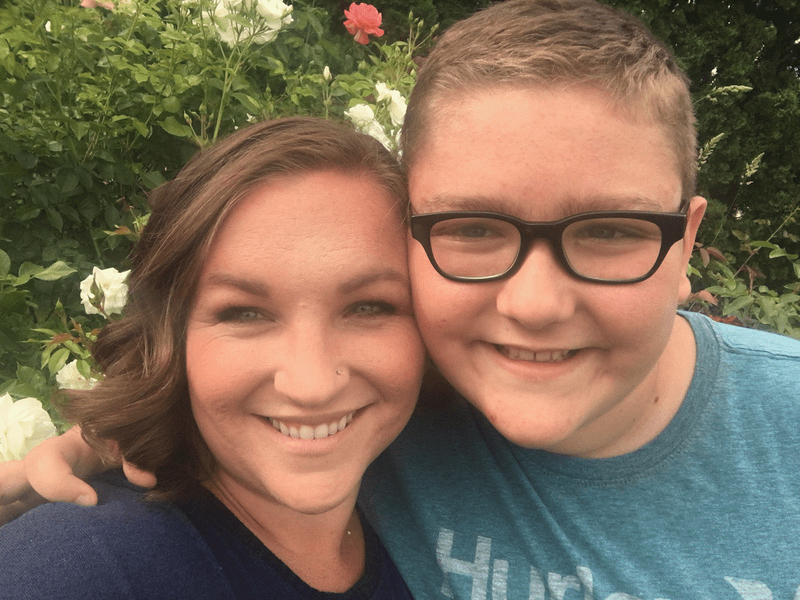 is a ten-year-old student in Pasco School District who was born with microcephaly, and has been diagnosed with seizure disorder, ADHD, pervasive developmental disorder, and mood disorder. Throughout the last two school years, school officials repeatedly sent him home early, excluded him from the classroom, and informally disciplined him for things like taking off some of his clothes, refusing to get on a bus, running in circles around the flagpole, and bothering the secretary. The state’s anti-discrimination law makes it illegal to discriminate against someone based on their disability. Yet special education students in Washington are suspended or expelled at more than twice the rate of their non-special education peers. Special education students make up just 14 percent of enrolled students statewide, yet they comprise nearly 30 percent of suspended and expelled students. This disparity exists across nearly all of Washington’s 295 school districts, and the state’s own data show that it is getting worse. Students with disabilities who require special education were suspended or expelled 2.2 times more frequently than their non-special education peers during the 2012-2013 school year, 2.3 times more frequently during the 2013-2014 school year, and 2.5 times more frequently during the 2014-2015 school year. Despite this, OSPI has failed to take adequate measures to address the problem by exercising necessary supervision and oversight and providing teachers and schools with the support they need. The data does not even reflect the whole picture. Parents of children who require special education are regularly asked to pick their children up from school early, causing these students to miss lessons. Some of these calls are made as early as the first hour of the school day and are not consistently documented or recorded by schools officials. Students who are pushed out of school suffer serious consequences. Students who are out-of-school suspended and expelled are as much as 10 times more likely to drop out of high school than students who are not, and they are more likely to become involved in the juvenile and criminal justice systems. A recent report showed 35 percent of the 147,000 special education students in Washington drop out of high school, one of the highest rates of 40 states studied. The suit was filed in Superior Court for King/Thurston County. Representing the plaintiffs are ACLU of Washington legal director Emily Chiang, attorneys Breanne Schuster and Jennifer Gunnell; and cooperating attorneys from Paul, Weiss, Rifkind, Wharton & Garrison LLP. Photo: Plaintiff Christina Madison and her son, A.D. Photo courtesy Christina Madison.